Happy Hump Day: Bringing it Back! If we still have any loyal followers checking in...we apologize for our long absence. However, once you hear (read) what we've been up to, I think you'll pardon us. When we last blogged we were in the midst of preparing for our busiest time of the year...Holiday Card season! Are ready for this??? We did 9,650 Holiday Cards for 2009!! We were very proud of that accomplishment and at knowing we helped spread Christmas cheer and goodwill to many, many people. So, you're probably now thinking, that's impressive but it's February...well we didn't kick up our heels and rest after the trees and twinkling lights came down. Oh no, we launched full force into preparing for Galveston's Mardi Gras season. For which, we did 2,700 invitations for various Mardi Gras events. WHEW! Yesterday marked the end of the Mardi Gras celebrations, the last parade wound it's way through the historic streets of Galveston Island. Fun as it was, we collectively breathed a sigh of relief. Today is a gorgeous day on the Island...sunny and bright, rewarding us with its beauty for a few months of being crazy-no sleep-BUSY. We'll take regular old busy for awhile. So we gaze out the windows of the store at the beautiful day, reflecting on how best to update (and not bore) you with a "catch up/we're back" blog. That's right, I said store...did we forget to mention in between all that we opened a STORE? 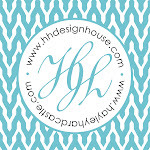 Hayley is now the proud owner of "Happenings by HH Design House". We squeezed in an official opening and Chamber of Commerce ribbon cutting mid January. Happenings, Hayley's latest endeavor is located at 523 Tremont, the corner of 23rd and Church Streets. Stop by and check it out! Shop Dog, Kashmir, on Guard!! !